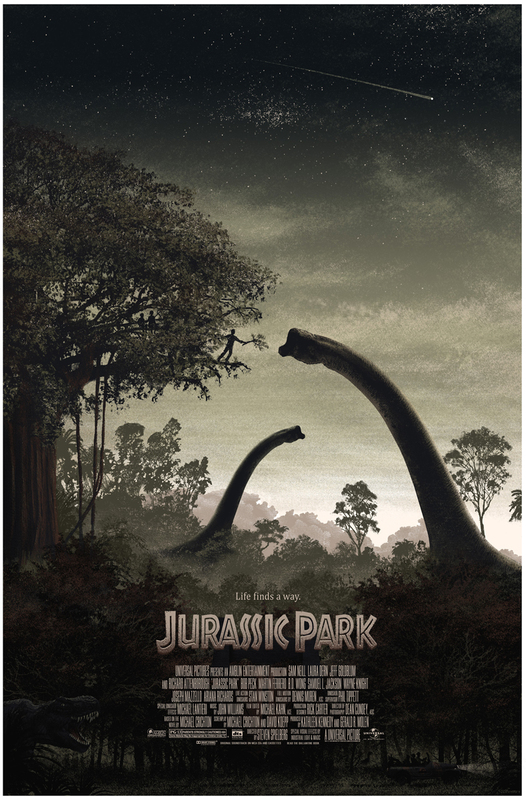 Alamo Drafthouse and Mondo have announced the second print in their JURASSIC PARK poster series from artist JC Richard. Check out the details below. The release comes timed to the arrival of JurassicPark Ultimate Trilogy on Blu-ray today. Available for the first time ever on Blu-ray with the groundbreaking films remastered in flawless high definition and hours of bonus features, including an all-new, six-part documentary called Return to Jurassic Park. Mondo is the Alamo Drafthouse's collectible art boutique, featuring designs from world class artists based on licenses for popular TV and Movie properties including Star Wars, Star Trek & Universal Monsters. Championed for their limited edition screen printed posters, Mondo focuses on bringing art back to movie posters by working with artists such as Olly Moss, Tyler Stout, Martin Ansin, Ken Taylor, Aaron Horkey, Chris Ware, Shepard Fairey, Drew Struzan and others. Besides creating stunning works for beloved classics and contemporary films, Mondo produces prints for featured Alamo Drafthouse events and has worked with filmmakers like Guillermo del Toro, Wes Craven, Zack Snyder and Duncan Jones on their "Director's Series" posters. Mondo has partnered with the Academy of Motion Picture Arts & Sciences to archive the company’s growing collection of original film posters.